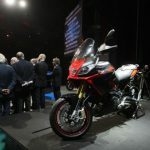 A prototype of the 2013 Aprilia Caponord 1200 was one of the headliners of Piaggio Americas’ dealer meeting earlier this month, alongside the Moto Guzzi California 1400. 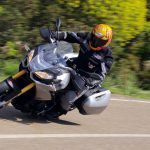 We’ve already heard about Piaggio designer Miguel Galluzzi discuss plans to produce a number of variations of the California, and today we’ve learned further details about the Caponord. 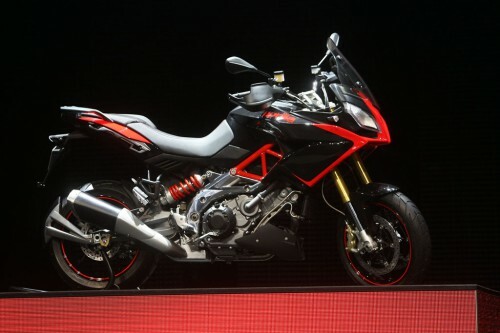 We already surmised the Caponord is derived from the Aprilia Dorsoduro 1200, with a similar chassis and engine. 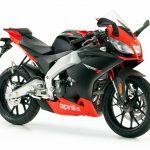 We have also learned the Caponord 1200 will be available Aprilia’s full APRC electronics suite, including traction control, wheelie control, launch control and quick shifter. 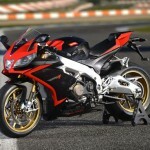 Also expected are ABS and electronically controlled suspension. 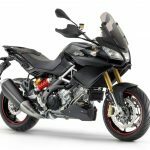 The availability of electronically controlled suspension (Aprilia is calling it “Electronic Dynamic Dampening”) will help the Caponord match up to the wonderfully versatile Ducati Multistrada, which has electrically adjustable Ohlins suspension on the S version ($19,995). 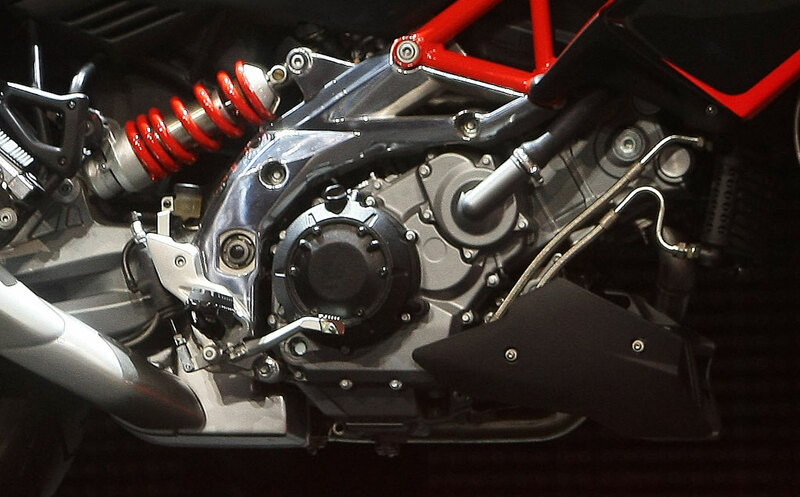 No speed-sensor rings are visible on the Brembo brake rotors, but we expect ABS will standard or, at least, an optional upgrade. 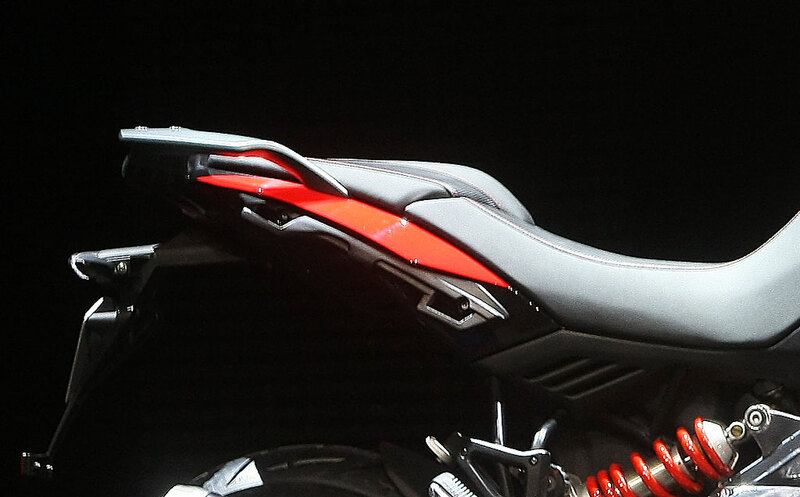 This picture reveals saddlebag mounting tabs, so we can also expect a luggage option. 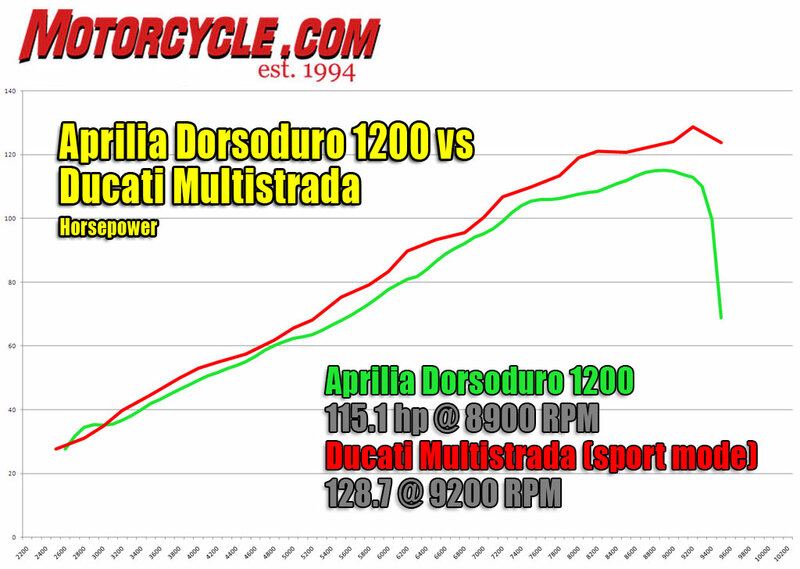 As for power, the smooth delivery of the Dorsoduro’s V-Twin we tested in 2011 was a fairly close match to the Multistrada when we overlaid their dyno charts, but the Ducati enjoys a clear advantage from 5000 rpm until redline. The Multi peaks with 128.7 hp compared to the Dorso’s 115.1 hp. 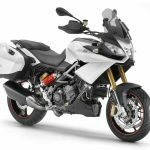 Pricing has yet to be announced, but we predict a base price around $15,000, undercutting the Multistrada’s base price of $16,995. We can’t wait to get these two Italians together for a comparison test, but we’ll likely have to wait another year or so until the Caponord makes its way to America.